Plus, this thing has a full meal’s worth of contents inside. 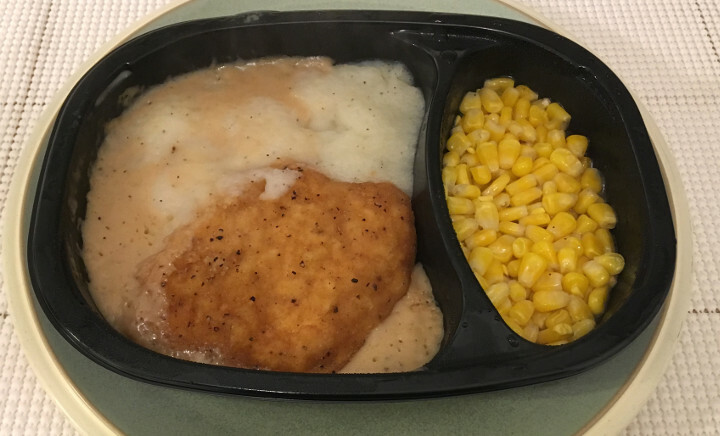 It’s got a piece of fried chicken, a side of mashed potatoes and gravy, and even a little helping of corn on the side. Surely this is a giant meal, right? Well, the packaging is a little bit deceptive here. When you actually dig in, you’ll see that there’s a lot of empty space in the tray. The tray is also not very deep — it’s just really wide. 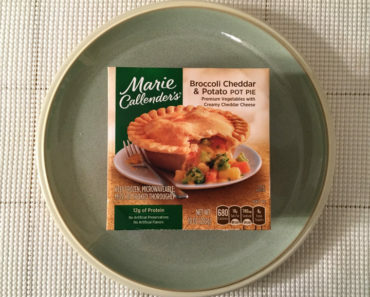 It seems like the folks at Marie Callender’s could have probably used the space a little better. But size isn’t everything, so let’s see how this tastes. The main event here is the chicken breast, which is nested into a dish of mashed potatoes and gravy. The chicken is pretty good, though not amazing. It’s juicy, and the breading really gives it a flavorful wallop. You can swirl it into the gravy if you’d like to, but the chicken tastes fine without the sauce. The mashed potatoes are sort of middle-of-the-road. 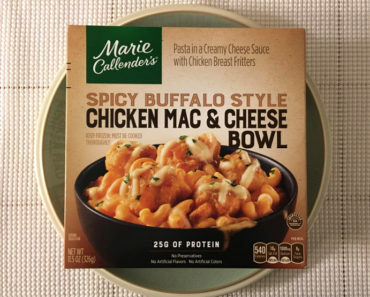 While they’re not quite as bad as something you’d be served in a high school cafeteria, they’re certainly not the best we’ve ever had. they’re light and airy, which we kind of like, though the gravy tends to seep into them and turn them into goop. The gravy is also a little bland. The corn is not very good. This definitely tastes like frozen corn — you won’t be fooled into thinking this corn is fresh at all. It tastes like it had most the flavor leached out of it. It comes swimming in a halfway decent buttery sauce, but that’s not enough to save this corn. While this is not the gigantic meal we initially hoped it might be, it’s not a meal designed for dieters either. 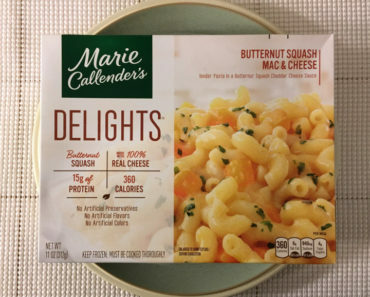 This frozen meal contains 460 calories and 1,150 mg of sodium. 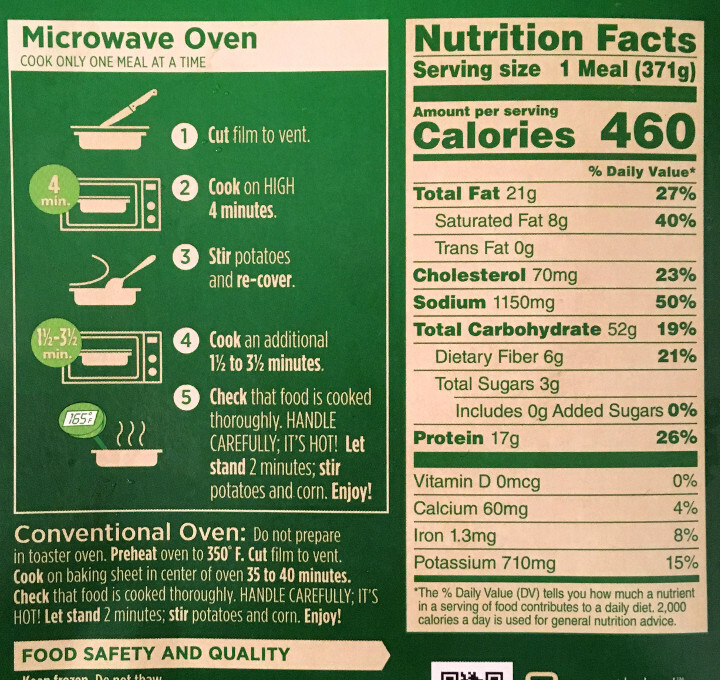 It’s also loaded with protein, at 17 grams. 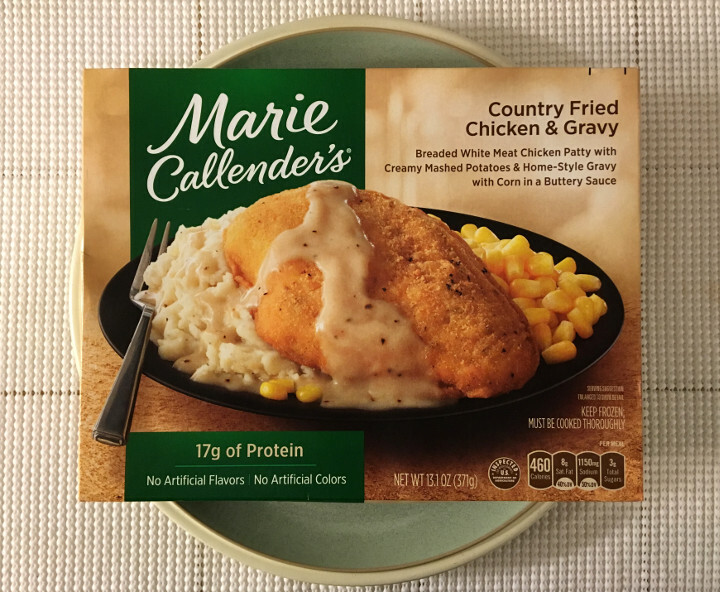 The Marie Callender’s Country Fried Chicken & Gravy is smaller than it looks on the box, and it’s lighter in flavor than you might expect. 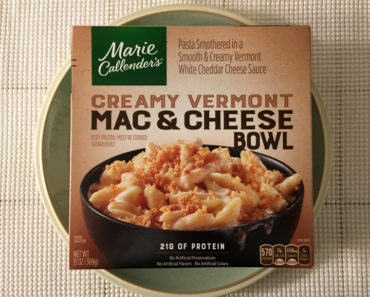 We’d say it’s a halfway decent meal if you can get it on sale, but it’s certainly not the craveable treat we were hoping for. 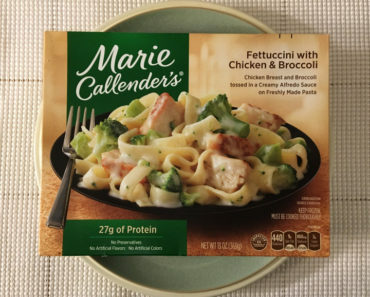 To learn more about the cooking instructions, nutrition content, or ingredients in this Marie Callender’s frozen meal, check out our package scans below.